Should any of us be surprised? Nah. Will it be the last time Top Gear insults EVs and hybrids? Nope, and it&apos;s just been reported that Tesla has filed a lawsuit against BBC&apos;s Top Gear for libel and malicious falsehood. The suit, filed on March 29th, has to do with an episode that aired some two years ago, where host Jeremy Clarkson tested a pair of Tesla Roadsters around the test track. After several break downs, mechanical and power related, Clarkson concluded the car was not practical in the real world. 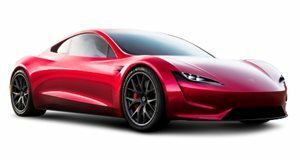 Tesla, who claims they attempted to contact the BBC over several months to discuss their complaints, is suing due to issues such as the Roadster running out of charge and had to be pushed off the track by four men, falsely stating the full range as only 55 miles and not 211, and that the breakdowns were in fact staged. They also state they can prove Top Gear&apos;s falsified claims due to the recordings on the cars&apos; onboard data-loggers. Supposedly, neither of the cars ran out of charge during the tests, or were even close. Tesla wants the BBC to stop rebroadcasting the episode and to set the record straight. And if anyone reads Car and Driver online, they&apos;ll probably remember that last February, K.C. Colwell did a test of drive of the Tesla in the cold Michigan winter. He made every effort to achieve the most mileage possible and came to nearly the exact same conclusions as Clarkson. We&apos;re just saying.